All right, y'all. It's been a week. My brain is currently home to a rich, simmering stew of anxiety. I will leave my job in 50 days, but, before that, I will run an eight-week internship program with all the bells and whistles and train my replacement. I will then move my entire life across the country and, just a few weeks later, start graduate school. These are all very good and exciting changes, mind you, but this would be a lot to handle for someone who's good with change. To no one's surprise, I am not one of those people. It's been messing with my reading life. It's been messing with my blogging life (hence my radio silence this week). It's been messing with just about every aspect of my life, and something's gotta give. My boyfriend goes out of town this evening, and I'm going to have three whole days to myself to decompress in any way I like. Naturally, it's time for a 'thon, but not just any 'thon. This is going to be a chillafathon. 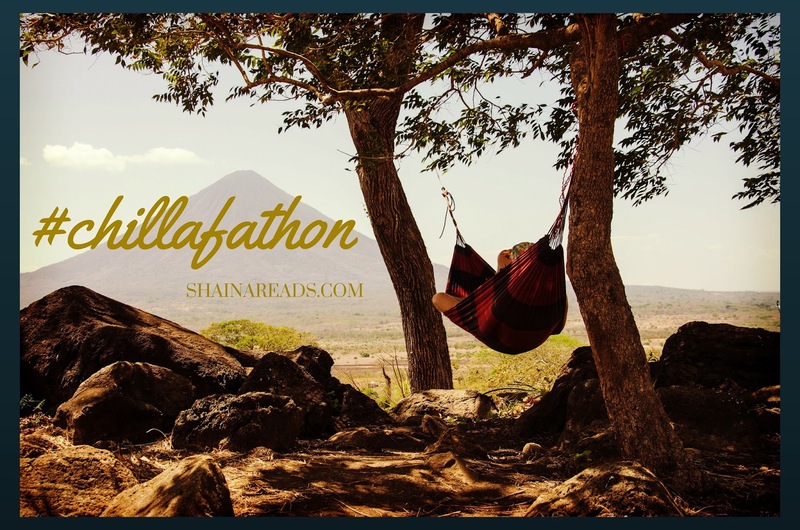 What's a chillafathon, you ask? It's anything you want it to be. Want to read a whole bunch of books? Do it. Will you build yourself a stack, or fly by the seat of your pants? Whatever, man. Just go with it. Want to write reviews instead of read? Be my guest. Wanna just hang out on the #chillafathon hashtag and unwind with other bookish folk? You do you. There are no challenges, no posts, and no prizes. This is the epitome of minimalism, because screw anything that might harsh this event's mellow. Right now, I'm thinking about putting my feet up with a stack of books and having myself a little tasting party to see what sticks. Maybe I won't do that. Who cares, really? It's all good. Today through Saturday (or the next 72-ish hours, whatever applies to your part of the world! ), join me in the chill. If you want.